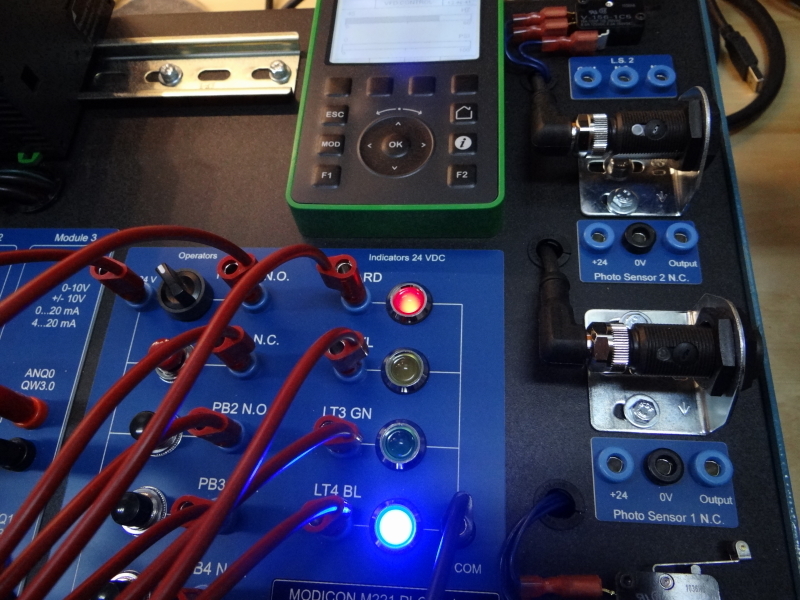 MODICON M221 PLC with Digital & Analog Expansion Modules - Custom designed trainer for a College in Western Canada. New MODICON PLC Trainer - Our latest trainer design that incorporates the low cost user friendly M221 PLC and easy to use software. Skills Ontario Final Small Powered Equipment Contest - Competitors used one of our custom designed units that has built in fault insertion switches. 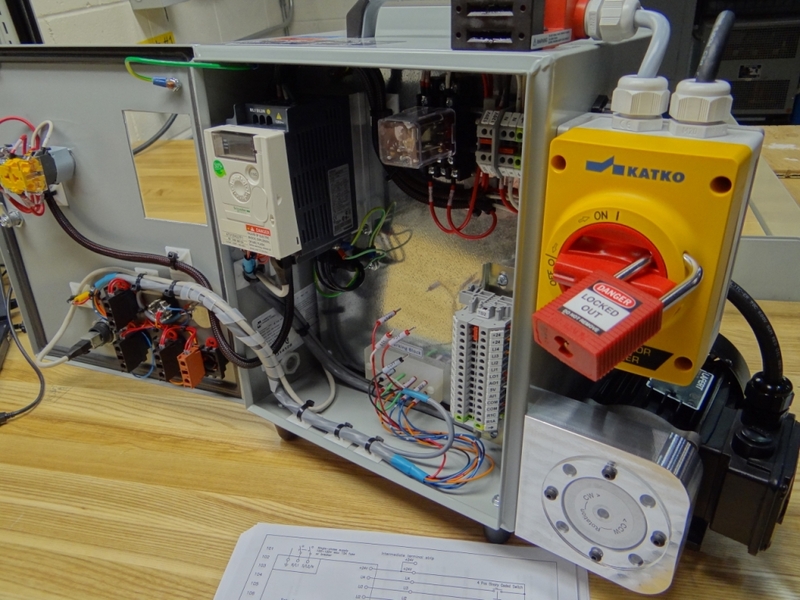 Our systems are industry standard, built with off the shelf components used around the globe. Light weight portable systems, perfect for mobile training. 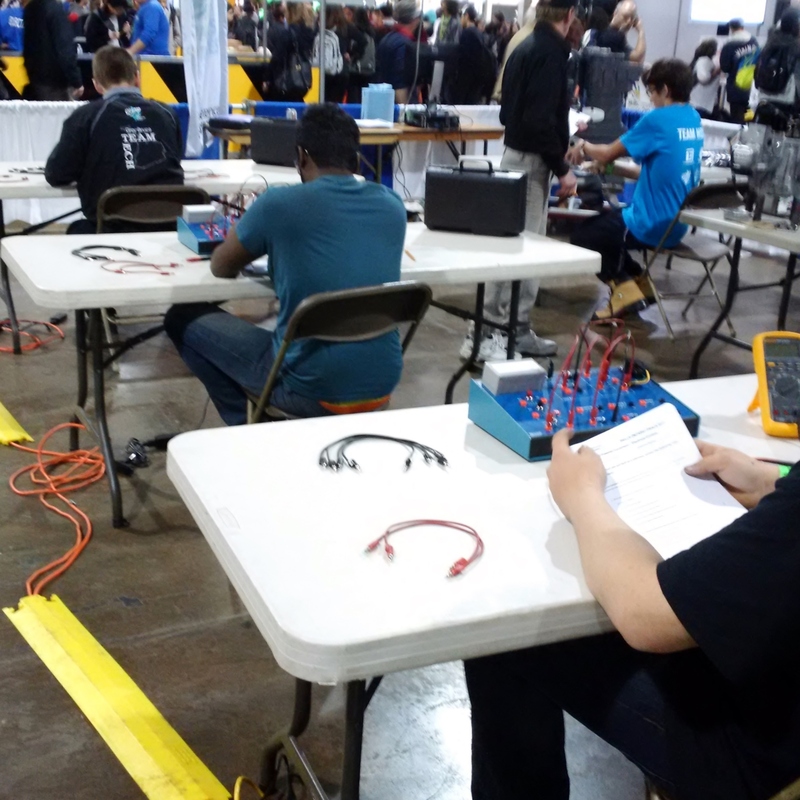 Students learn in Electrical CAD and complete the circuit on your trainers. We can show you how! 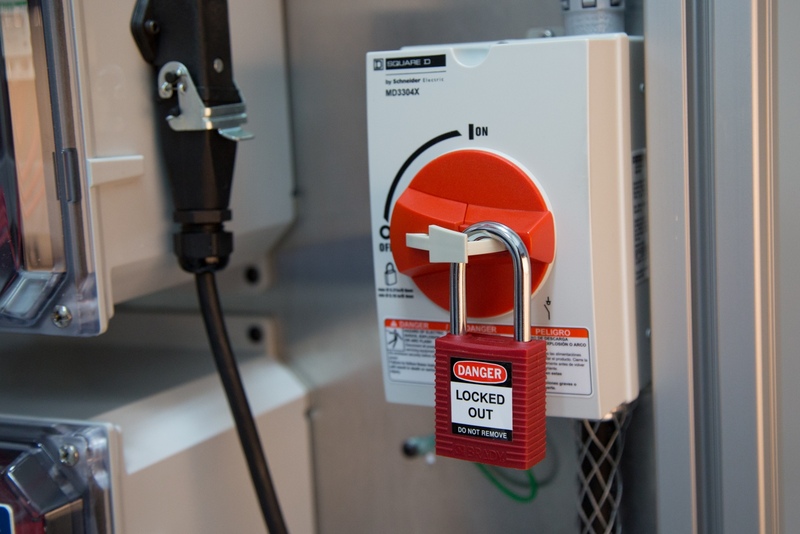 Our hardware incorporates industry leading safety features that makes training worry free. 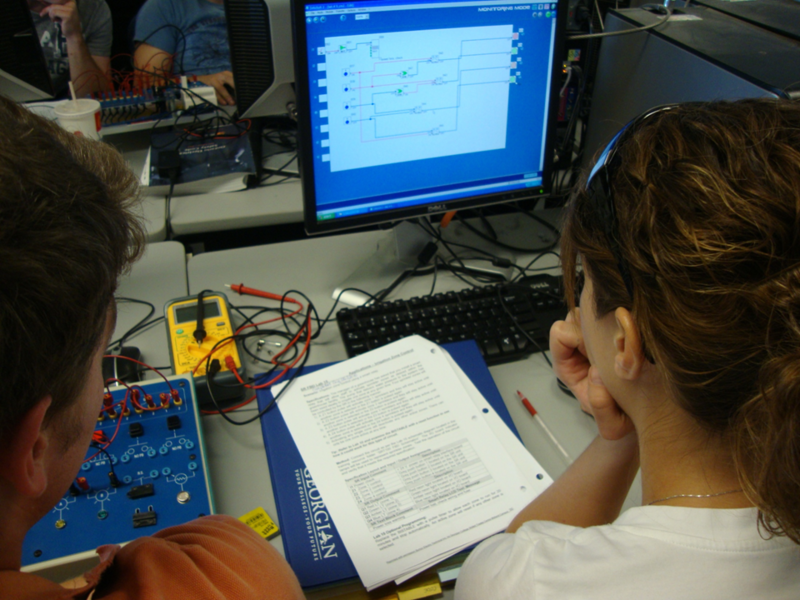 Students enjoy the intuitive software and practical project exercises. Adaptable and customizable hardware designs, built for your needs. The most versatile and safe electrical trainers on the market. Highly interactive trainers covering multiple curriculum requirements. 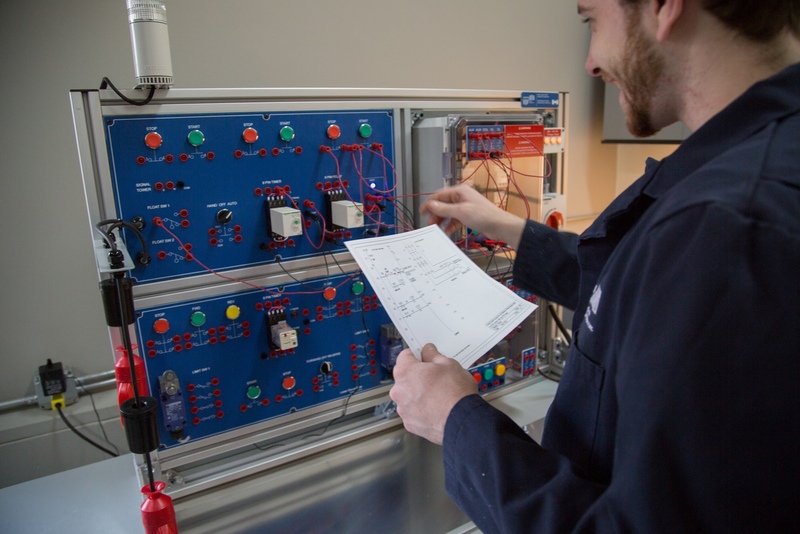 This website showcases electrical training equipment developed by Burton Electro Technical Inc.
We strive to develop engaging, realistic, multi-purpose and above all safe electrical training equipment. 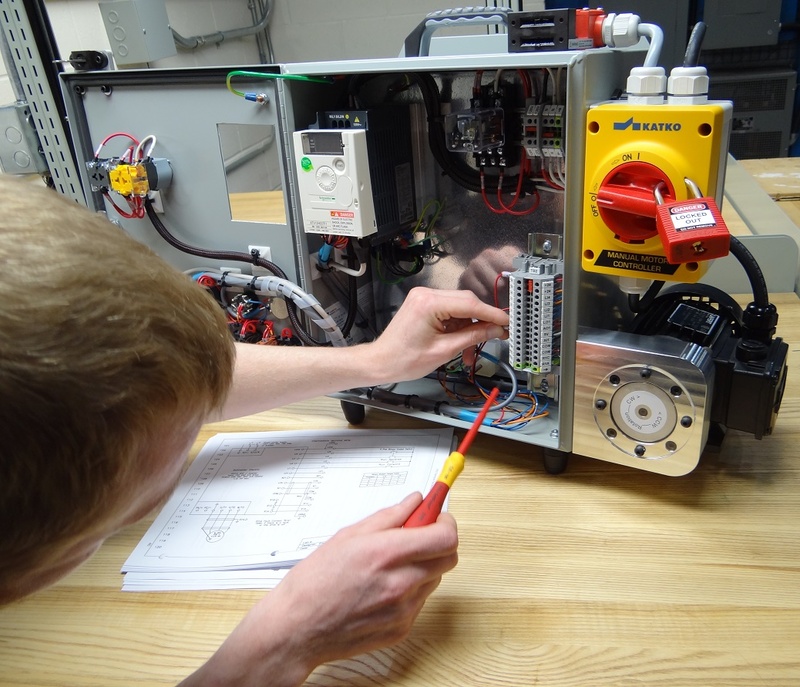 We can custom design or modify any of our systems to meet training or curriculum requirements. 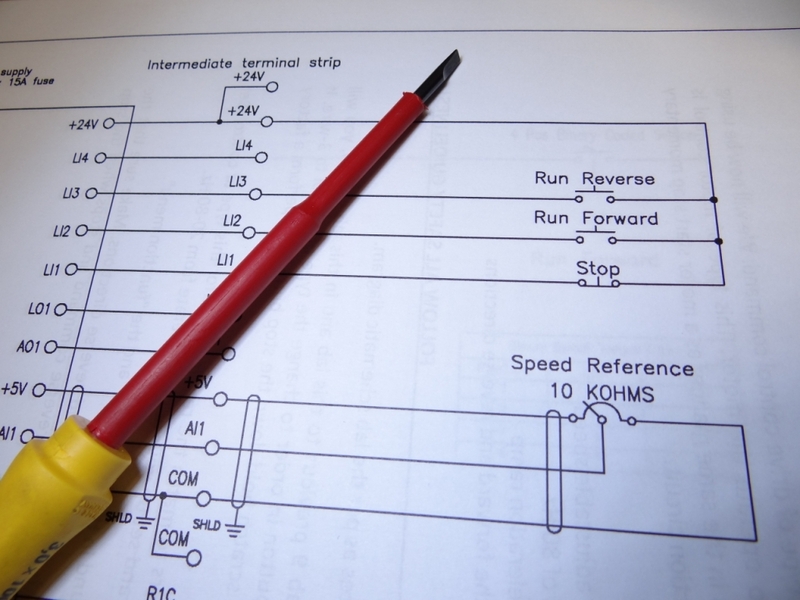 Our systems can be easily integrated into ACAD Electrical Training, as our lab exercise schematics are developed in ACAD Electrical. 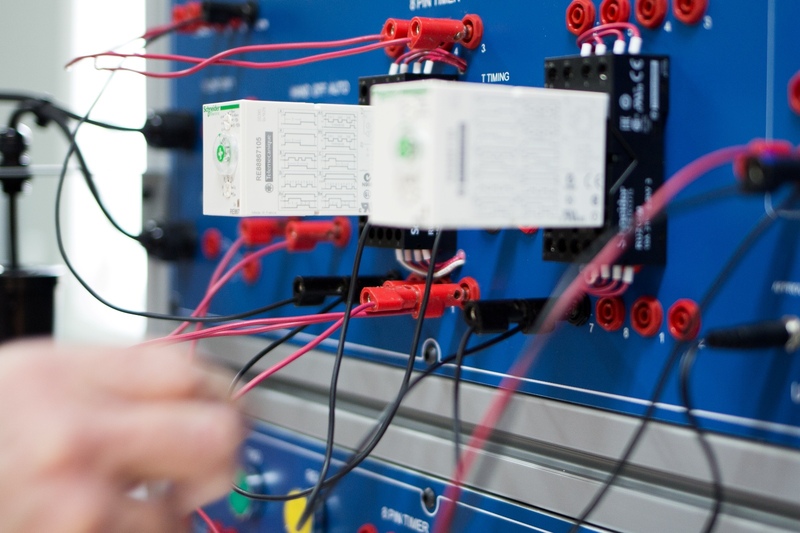 You can view our electrical training hardware in the "TRAINING SYSTEMS" page. There you can view product brochures, specifications and video demonstrations, along with student and instructor testimonials.